This past memorial day weekend a party was dedicated to the discovery of the Fisher Ridge Cave System 30 years ago. I was invited to attend this event by a close friend who is very involved in the mapping of the system. Of course, I couldn’t attend during the weekend when the event was actually going on (because for some reason I had tickets to the Detroit Electronic Music Festival, and had to attend that). Regardless, Michelle and I ended up driving down monday afternoon to meet up with my pal Steve who was going to take us caving for the next few days. 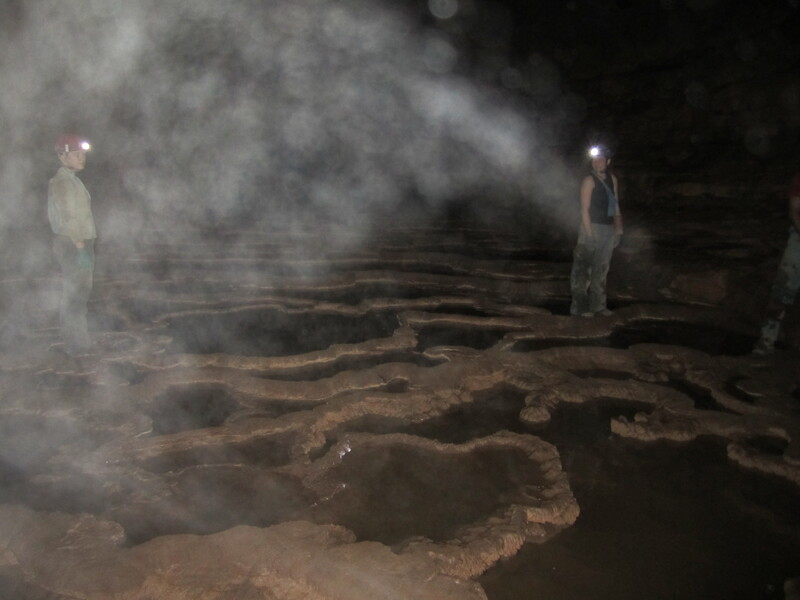 FRCS is basically the northern U.S.A. mecca of cave systems. It’s huge, still not even close to being completely mapped/explored, and of course, tons of fun to play around in. I’d actually only been there once previously and did some casual ‘tourist’ trips, and some mild surveying. Unfortunately we were only able to do two rather short runs in the cave on this trip because got down so late in the week. As such less people were able to ‘lead’ us. It’s never a good idea to wander a system that you’re completely unfamiliar with, so that wasn’t really an option. In any case, Steve, Michelle, my new friend ‘tiger’ aka Emily and I we the only folk above ground so we did a couple short day trips. On Tuesday we took a quick venture to recover some ropes from an old lead that never panned out. The last time I was down (3 years ago) we did some bolting in the lonely hears club pit to try and do some vertical work and find any new connections. I guess Steve had recently tried to push it further, with no success. So we were on a rope collecting mission. Basically this trip involved some sitting around and wandering, wating for Steve to de-rig some things. We also switched out a few anchor systems that someone had set that were kinda dangerous. Aluminum carabiners left on stainless bolts in a cave are a big no-no. They were deteriorating and so we put in some stainless quicklinks instead. (When two dissimilar metals have sustained contact and electrical loop is closed. Basically a battery is formed, and the aluminum starts to dissolve. You dont really want to be anchoring to that.) This rappel station was set in a location that I had previously down climbed in 2008. Yes, it was sketchy, but totally do-able. In any case, another one had been set up so that the section could be free rappelled without such rope-drag, and not using the sketchy aluminum system. That was our Tuesday. Chilling, re-rigging, and ascending out. Whoot. Wednesday Emily came with us for a trip in which we were planning on making a connection. It was supposed to be about a 6 hour trip, that ended up being 8 because we couldn’t find the through passage. Emily and Steve had done this connection a few days ago on a previous trip, and thought they knew the way. Apparently not, and we had to turn around. Regardless it was still a quite fun. 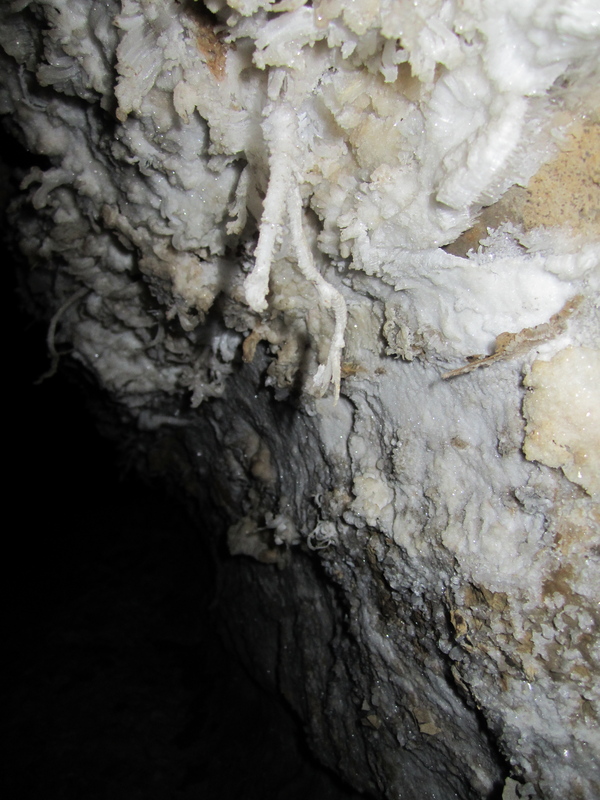 We had the privilege of seeing loads of gypsum crystals, and gypsum beards- a first for me. We also took a little venture to some rimstone dams, which have always been a personal favorite. There was tons and tons of popcorn too, which you know, its always fun. Upon not finding our connection, and im pretty sure we looked for a good hour, we turned back and tried to ‘quickly’ exit. 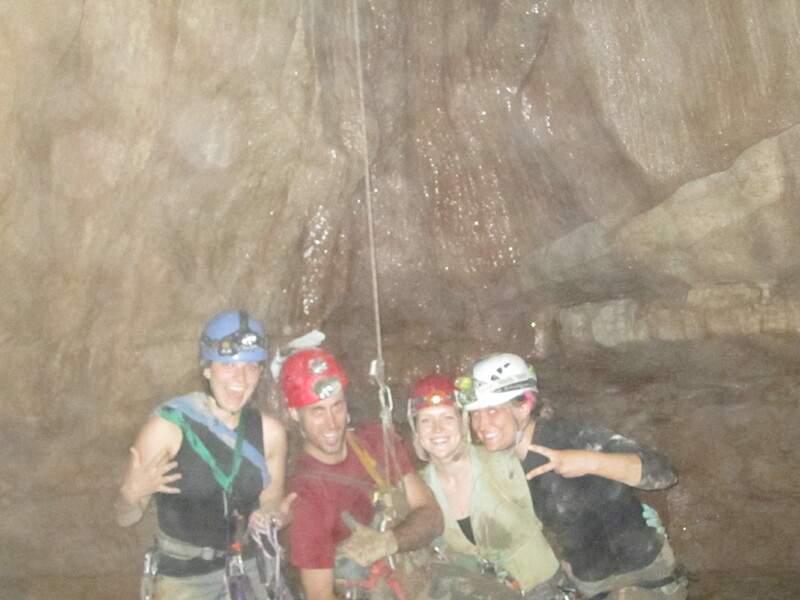 This involved some cave running, which I find really super super fun. One goal of mine is to get better at it. I have future plans to get a new pair of trail shoes, and practice above ground. And maybe get into trail running. Of course, at the end of our running trip, there’s always the ascent out. Lets just say, I’m getting better at it and my system is getting sexier. This venture ended with an open shower, some mexican quesadillas at a nearby restaurant with a few more cave folks, and the beginning of a 12 hour drive to the Ozark’s in Arkansas. On to Wakarusa…. 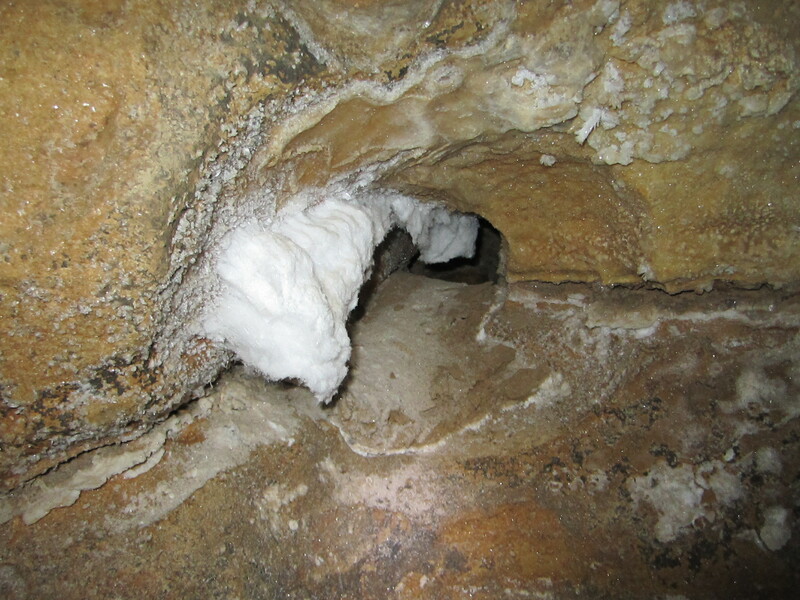 This entry was posted in Trips & Destinations and tagged Carabiner Corrosion, Caving, Fisher Ridge Cave System, Gypsum Beards, Kentucky. Bookmark the permalink.